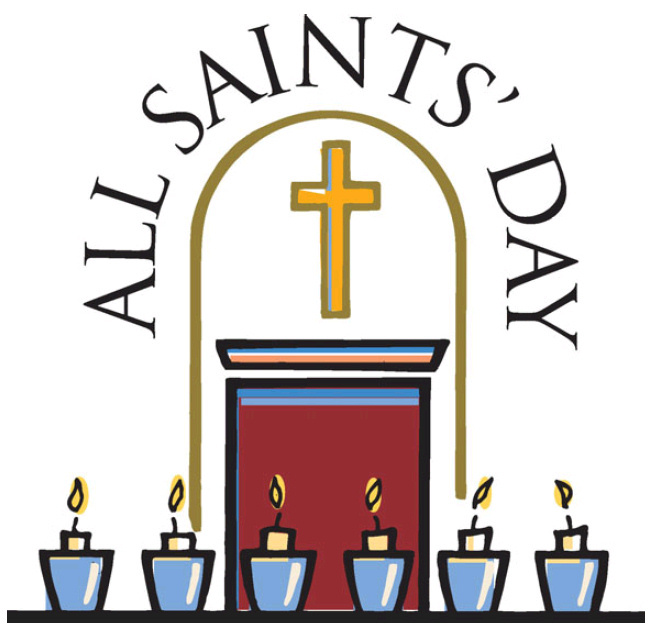 Across the great scope of Christianity, many churches will celebrate All Saints Day this Sunday. In the United Methodist Church we will use this particular opportunity in worship to remember the Saints of the church as well as all Christians both past and present. It is a time set apart to reflect on the many people who have shaped our lives, the grief we still feel regarding their deaths, and the hope of the promised resurrection. All Saints is not a time for “preacher clichés.” It is not a time for churches to claim that God “just wanted another angel in heaven.” It is not a time for us to seek out those who are grieving and tell them how they are supposed to grieve (or worse: telling them they are supposed to be done grieving). All Saints is a time for tears. Just like when Eugene Peterson’s wept over the death of his mother, and just like when Jesus wept over the death of Lazarus, it is good for us to grieve those who have died. This Sunday is a moment in the life of the church where we do well to let our emotions get the best of us and offer up our losses and sadness. Because it is in our grief that we really begin to appreciate those who have died and the ways they continue to shape our lives. This week, as we prepare for All Saints Day, let us take time to reflect and pray for the people who have died in our lives. Let us thank God for their witness to God’s grace. And let us strive to sit alongside those who are grieving and bless them with our presence more than our words. The receiving line following worship is vastly underrated. A lot of people make their way out of the sanctuary quickly, whereas others will wait in line just to ask that one question that popped up during the service. It never ceases to amaze me that some of the most profoundly theological and spiritual moments that take place at St. John’s happen in that line after worship on Sunday mornings. 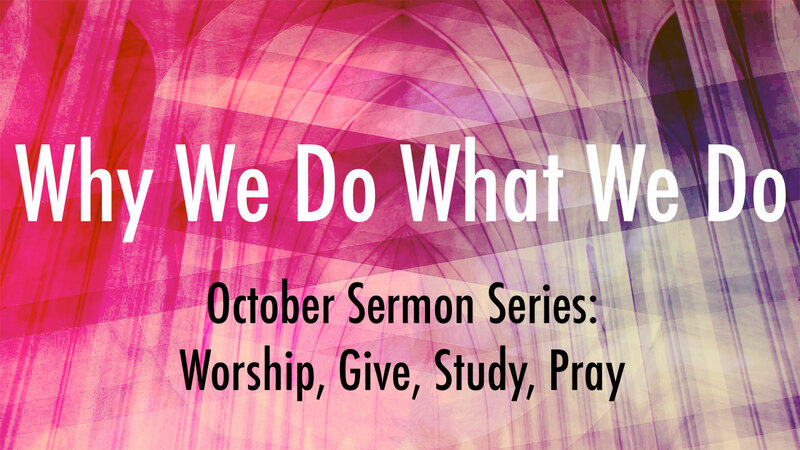 This month’s sermon series “Why We Do What We Do” has its roots in those conversations. Week after week I will hear some of you wonder about the purpose of an acolyte carrying in the flame for worship, or you ask about the value and importance of having a time for offering and collection, or you question why we talk so much about bible study, or you remark about how difficult it is to pray. If you’ve ever left church with a question on your heart and mind, this sermon series is for you. 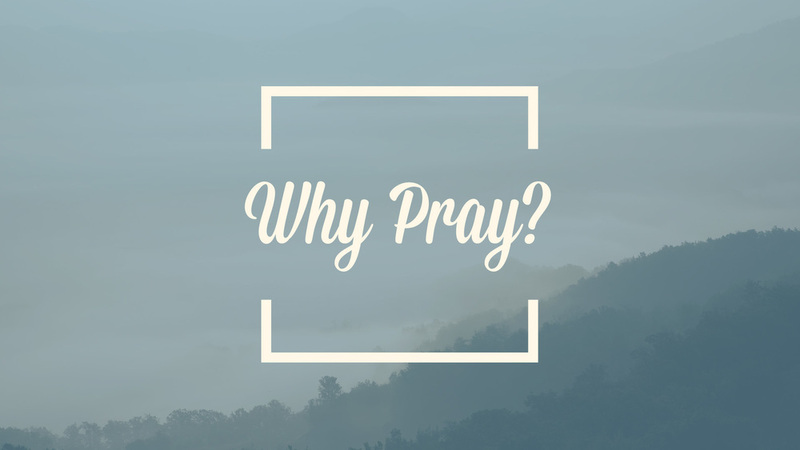 Today we will explore why we pray. We’ve all been there before. We’re driving through the parking lot, maybe running a little bit late, and we cannot find a parking spot to save our lives. We search and search, we circle and circle, but nothing opens up and the more we look at the clock the more nervous and frustrated we become. The man was driving through the grocery store parking lot with a list of items to purchase in his pocket and not a parking spot in sight. To complicate matters, the man’s wife is pregnant at home and he knows that the only thing that will make her happy is a jar of pickles, ice cream, and a bag of Doritos (all on his list). He had rushed out of the house with the hope of returning home with the necessary items as soon as possible, but the lot is full and he’s running out of time. Then they came to Jericho. As Jesus and the disciples were walking with a large crowd, Bartimaeus, a blind beggar, was sitting by the roadside. When he heard that it was Jesus of Nazareth walking by, he began to cry out, “Jesus, Son of David, have mercy on me!” However, the crowds were so large that Jesus was unable to hear Bartimaeus, and those closest to the blind man ordered him to be quiet. But Bartimaeus was no ordinary man so he continued to yell out, “Son of David, have mercy on me!” Jesus immediately stood still and called the man forward. One answer, of course, is that we want God to do something for us. We cry out to God in the midst of suffering for healing, when we are lost we call out for direction, and when we are afraid we ask for peace. 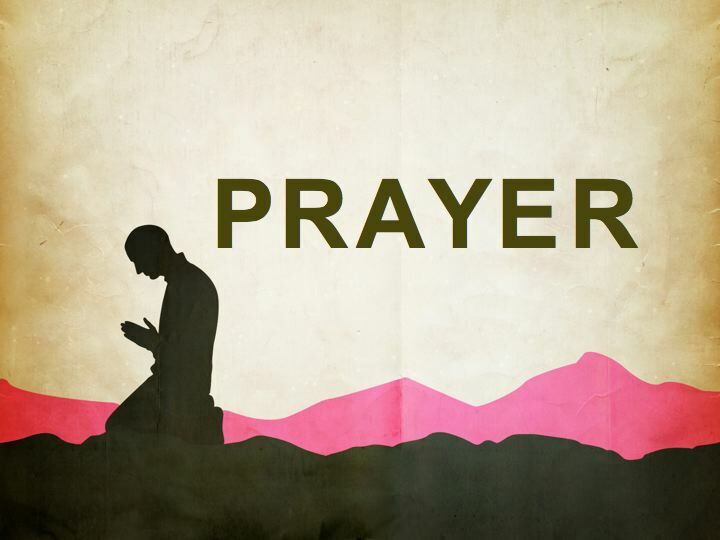 We need something from God so we ask for it through prayer. Another reason to pray is to commune with God. These prayers are not based on receiving something in particular, but setting time apart to listen for the ways that God is speaking in the world. Instead of listing all of our needs and wants, we wait and tune into God’s frequency. Yet, the majority of prayers come in the form of a need. Sadly, prayer is often our last resort when we can no longer bring order out of the chaos in life and we rely on a higher power to straighten out our mess. For centuries faithful disciples have experimented with ways to pray. Silence is always a good place to start. Finding a quiet space and time in our lives and just letting the worries of the world float away. Like Bartimaeus throwing off his cloak, we look for the ways we can rid ourselves of the baggage that clogs our ears and prevents us from listening. Another form of prayer comes through the reading of small bits of scripture over and over. Like taking one of the psalms and slowly reading the words as our own prayers to God, letting the words of the past make manifest our needs in the present. We dive into the depth of God’s great Word and slowly begin to realize that God is still using scripture to shape us even today. If all else fails, we can rely on the helpful acronym of PRAY for Prayer. God, I praise you for all of your marvelous works in the world, and in particular the gift of you Son Jesus Christ. Lord, I confess that I have not loved you with my whole heart and I have not loved my neighbor as myself. I am truly sorry and I humbly repent. Father, give me the strength to be a better disciple and patience to accept the things I cannot change. God, even with my needs and wants, let your will be done in my life and here on earth. Amen. There are such a great number of ways to pray, that so long as we are doing what we do with intention, it can be a form of prayer. 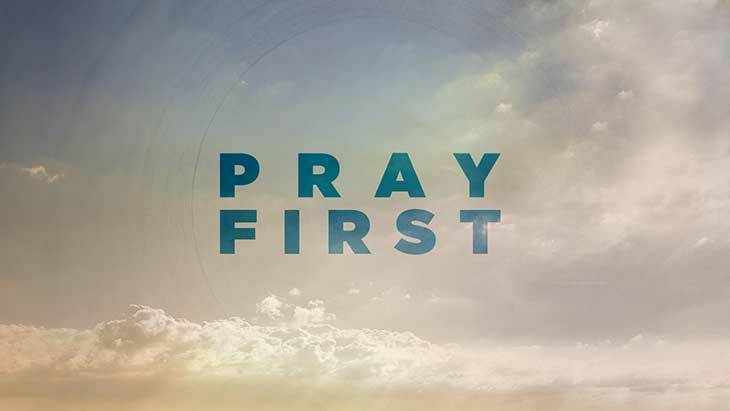 The greater question is not how do we pray, but are we praying for the right things? It was truly a beautiful and holy moment as each of them shared a particular time when God had answered one of their prayers, a true prayer. Not prayers for a sports team, parking space, or academic grade, but for healing, patience, and purpose. Bartimaeus is a model for discipleship. Instead of waiting for Jesus to just show up in his life, he calls out from the depth of his being for mercy. Instead of assuming that God will give him everything he needs without sacrifice, he quickly throws off the cloak of the past in order to embrace a new future. Instead of expecting a divine healing and a return the normalcy of life, he regains his sight and follows Jesus on the way to Jerusalem. Bartimaeus calls out to Jesus, he fervently prays for mercy, and the crowds catch a glimpse of God’s grace. This event is a miracle. Miracles are those things that bring people from the darkness into the light, not just for the blind man, but everyone gathered around Jesus. Miracles turn our attention to what really matters in this life. The true power of the miracle rests with Bartimaeus’ prayer. He calls out to Jesus. He comes to Jesus. He prays his true prayer. He sees Jesus better than the disciples, and he was blind. 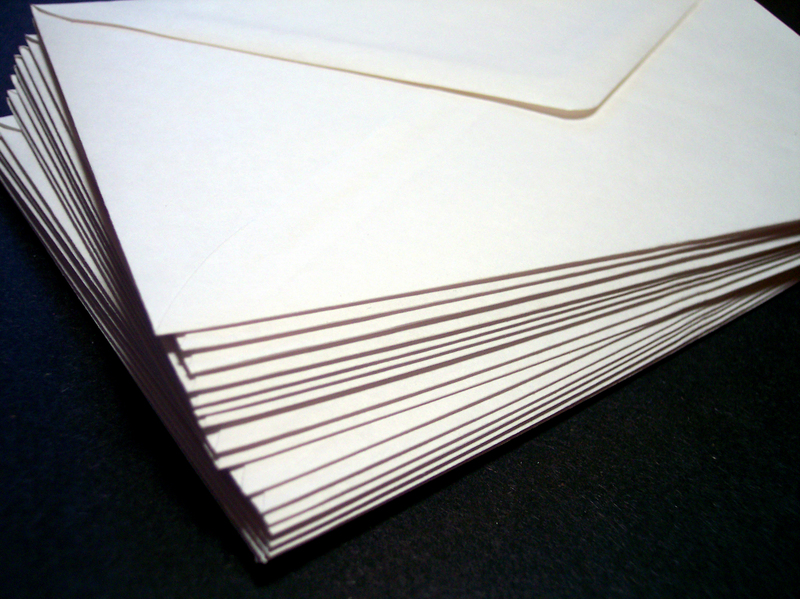 In each of your bulletins you will find an envelope with a blank piece of paper inside. In a few moments I will be encouraging each of us to take out that paper and write down a true prayer to God. It has been my experience that when I pray out loud I don’t take the necessary time to really contemplate what I am asking for. But if we slow down enough to write down our prayer, it might encourage us to pray like Bartimaeus. So we will take time to pray to God in written form, and then we will place the paper in the envelope and seal it. Then I would like each of us to write our name and address on the front and place it in the offering plate later in the service. No one will see this prayer but you and God. But we will mail them back to you in a number of months. God answers our prayers, sometimes in different ways than we can imagine. My hope is that we will all take the time to earnestly pray to God, and in the months ahead we will begin to have our eyes opened, just like Bartimaeus, to the ways the God is moving in our lives. Amen. Furthermore, the former priests were many in number, because they were prevented by death from continuing in office; but he holds his priesthood permanently, because he continues forever. Full disclosure: There is temptation in ministry. There is the temptation to believe that you are the only one with the ability to save others. There is the temptation of power to control every single little element in the life of the church. And there is the temptation of becoming more important than the Lord you serve. After weeks of a particular strong sermon series, a pastor’s ego can swell from all the compliments she hears. During the reception following a wedding, a pastor’s pride can cast a huge shadow over the guests. 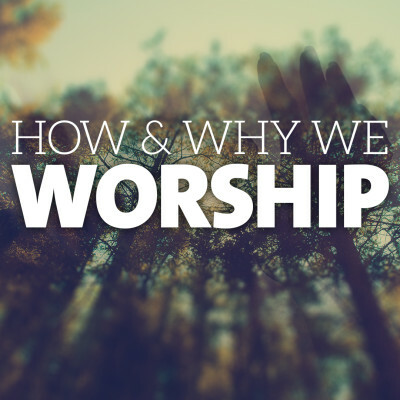 The habits of worship can lead to a pastor pointing to himself far more than he points to the cross. Temptation affects pastors just as much as everyone else. The writer of Hebrews rightly shows the difference between priests and Jesus. 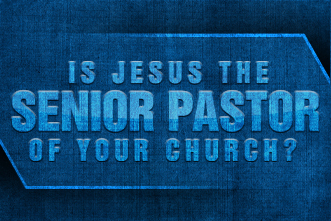 Ministers/Priests/Pastors are many in number because we eventually come to the end of our time, but Jesus holds his priesthood permanently and continues forever. This one line from Hebrews is a sobering reminder for all who have been called to the ministry to remember that we are called to point to the Lord who reigns forever and ever. We can do a lot of wonderful and marvelous things for the churches we serve, but we are only as good as we are willing to remember the one from whom all blessings flow. Similarly, this passage from Hebrews is a reminder to everyone in the church about who is really “in charge.” If we are serious about the commitments and covenants we have made as Christians we will remember that Jesus is the King of kings and Lord of lords. We will listen to the words of our pastors but will always remember the distinction between their words and God’s Word. And we will remember that even minister are broken by the powers of temptation and are in need of God’s divine grace. 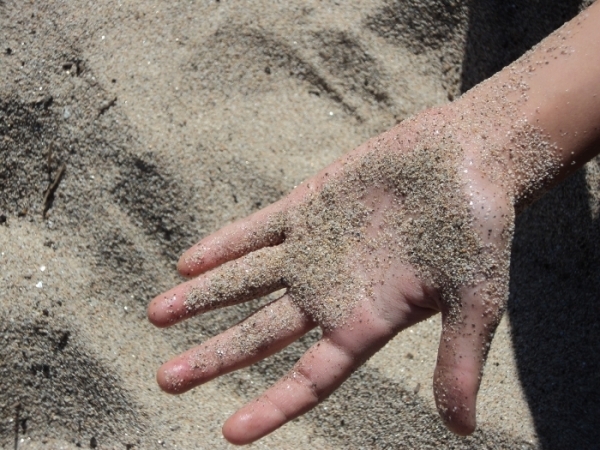 The grains of sand fell through my hand while I was sitting on the beach. My Boy Scout troop had set up camp the night before and a few of us had woken up to catch the sunrise. We could hear our fellow scouts still rustling in the warmth of their sleeping bags, but we were content to sit in the sand and listen to the water. The rest of us sat there in amazement at such a simple and profound reflection and immediately felt tiny and insignificant in the grand scheme of the cosmos. If we felt like the world revolved around us, we were all changed by our friends’ comment, and I have never forgotten the way it made me feel. After Job has been through all his trials and tribulations, after Job challenges the Lord, God finally answers Job by saying: “Where were you when I laid the foundation of the earth? Tell me, if you have understanding.” As if Job had heard our discussion about the grains of sand, he was immediately put in his place in relation to God. Instead of believing that he was the center of the universe, Job was humbled by God’s declaration. Sometimes it is good for us to be humbled. After a particular season of life where we believe that people should worship the ground we walk on, we do well to be knocked down a peg or two. It can be incredibly life giving to realize that we are no greater than anyone else. And it can do wonders to remember what we are in the grand scheme of things: a grain of sand. Because when we remember our place, our eyes can be opened to the people around us instead of only focusing on ourselves. This week let us remember to not think too highly of ourselves. If we catch ourselves deep in the clutches of vanity and vainglory let us remember the story of the grains of sand, let us remember God’s declaration to Job, and let us remember to be humble. He said to his disciples, “Therefore I tell you, do not worry about your life, what you will eat, or about your body, what you will wear. For life is more than food, and the body is more than clothing. Consider the ravens: they neither sow nor reap, they have neither storehouse nor barn, and yet God feeds them. Of how much more value are you than the birds! And can any of you by worrying add a single hour to your span of life? If then you are not able to do so small a thing as that, why do you worry about the rest? Consider the lilies, how they grow: they neither toil nor spin; yet I tell you, even Solomon in all his glory was not clothed like one of these. But if God so clothes the grass of the field, which is alive today and tomorrow is thrown into the oven, how much more will he clothe you – you of little faith! And do not keep striving for what you are to eat and what you are to drink, and do not keep worrying. For it is the nations of the world that strive after all these things, and your Father know that you need them. Instead, strive for his kingdom, and these things will be given to you as well. Do not be afraid, little flock, for it is your Father’s good pleasure to give you the kingdom. Sell your possessions, and give alms. Make purses for yourselves that do not wear out, an unfailing treasure in heaven, where no thief comes near and no moth destroys. For where your treasure is, there you heart will be also. The receiving line following worship is vastly underrated. A lot of people make their way out of the sanctuary as quickly as possible, whereas others will wait in line just to ask that one question that popped up during the service. It never ceases to amaze me that some of the most profoundly theological and spiritual moments that take place at St. John’s happen in that line after worship on Sunday mornings. 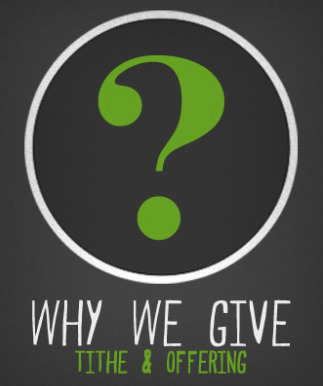 Today we will explore why we give. I was in my final year of seminary when my friend asked me to preach at his church. He had labored for the past few years as a full time student and full time pastor at the same time and needed someone to fill-in. He had received tickets to a Carolina Panthers football game, though I was forbidden from telling his church that’s where he was instead of with them on a Sunday morning for worship. When Lindsey and I arrived at the tiny United Methodist Church in the middle of nowhere North Carolina, I was a little nervous about leading worship for a congregation that I had never met, but I figured God would show up even if my sermon fell flat. The sanctuary was tiny, with white walls and bright florescent lights hanging from the ceiling, there was a cross above the altar that was draped with an American flag, and it was so quiet that I was worried we had arrived at the wrong church. However, the lay leader was waiting by the door and greeted us as if we were first-time visitors, only to later realize that I was supposed to be the pastor for the day. He quickly led me into the sanctuary, gave me a quick and grand tour, and then informed me that he was the head usher, liturgist, organist, and treasurer. From what I remember the service went well, though most of the congregation was utterly bewildered by my academic deconstruction of a prophecy from the book of Daniel (something I thankfully gave up doing that day), and there was an infant who wailed the entire service. I like to think that she loved my preaching so much that it drove her to tears. When the service ended, I finally had a chance to actually look around at the sanctuary and I noticed a list on the wall behind the pulpit of the hymns for the day, the offering brought in last week, and the deficit regarding the annual budget. There in big numbers for everyone to see was how far away they were from keeping up with their plan, and it was a staggering amount. Talking about giving, and in particular financial giving is about as awkward as it gets in the church. Money, in general, is one of the taboo subjects of normal conversations. We don’t ask how much someone makes in a year, even if we are curious. We avoid asking for financial help because it means admitting too much vulnerability. But then if we take the taboo subject of money, and put it together with religion (or the church) we have the double whammy of things we’re not supposed to talk about. To talk about giving in the church, to address the subject of why we give, we have to get personal. It would be shameful for me to stand here each and every week calling for the gathered body to give their gifts to God if I, myself, was afraid to talk about my own giving. If we want to be a church of gifts, then we must first be a church of vulnerability and then conversion. 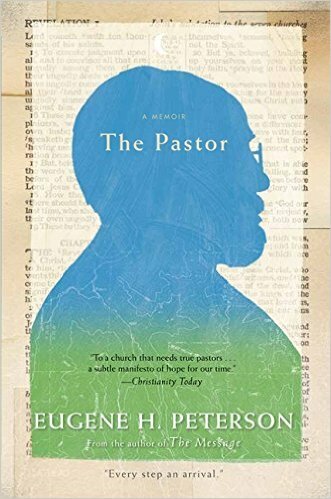 Before I became a pastor, I rarely gave to the church. I have vivid memories of sitting in church throughout my adolescence, and feeling waves of guilt as I passed the offering plate over my lap to whomever else was in the pew. It helped that I was a teenager and had no money to give in the first place but the guilt was still there. By the time I made it to college and seminary, I still attended church but rarely gave to the church. I certainly volunteered my time, led mission trips, and taught bible studies, but giving money to the church was not on my radar. Then I was appointed here to St. John’s. Now that I had a steady income, Lindsey and I decided to start tithing to the church, and honestly it was really hard. We are a young married couple with debt to the federal government for paying for my seminary education, and we are going to have a baby in April. Yet, we covenanted with God and one another to give 10%. In the first months it was harder than I thought. I would find myself thinking about those thousands of dollars that I could be spending on other things, but we got into the habit and we kept giving. My conversion toward giving did not happen in a big shiny moment, but was a gradual transformation. The more I gave, the longer the habit continued, the easier it became, and my perspective started to change. Instead of imagining what I could’ve have done with the money I gave to church, I started to tangibly witness and experience what the money I gave was doing for the church and the kingdom. Giving to the church requires a conversion; it is built on a vision where we recognize how our blessings can be used to bless others. We are not called to give to St. John’s out of guilt, but out of generosity. We are called to give because we have a shared vision and are invited into the mission of God through the church. Even a seemingly small act of generosity can grow into something far beyond what we could ever ask or imagine – The creation of a community of love in this world. If we act generously, we are helping God build the kingdom here on earth. At St. John’s we believe in providing meaningful, fruitful, and life changing worship every week of the year. We plan months ahead, connect messages with the music, and look for imaginative ways to respond to God’s love in the world. This means that we have to keep our sanctuary in the best shape possible for the worship of God, and use the great gifts of all involved in the church to make it happen. As a church we regularly welcome first-time visitors to discover God’s love through this place and help to develop professions of faith in Jesus Christ. At St. John’s we believe in nurturing those in the midst of their faith journeys. We spend a significant amount of time and resources to help disciples grow in the faith and love of God and neighbor. We have numerous classes and opportunities to study God’s Word, but one of the most profound things we offer is weekly Chapel Time to our Preschoolers. Not only do we help to provide a wonderful facility for them to learn and grow, but we also welcome them into this sanctuary every week to learn about God, Jesus, and the Holy Spirit. The Preschoolers discover how much God loves them, and they take those stories home to the families and subsequently teach them about God’s love. And at St. John’s we believe in witnessing to our faith in service beyond ourselves. 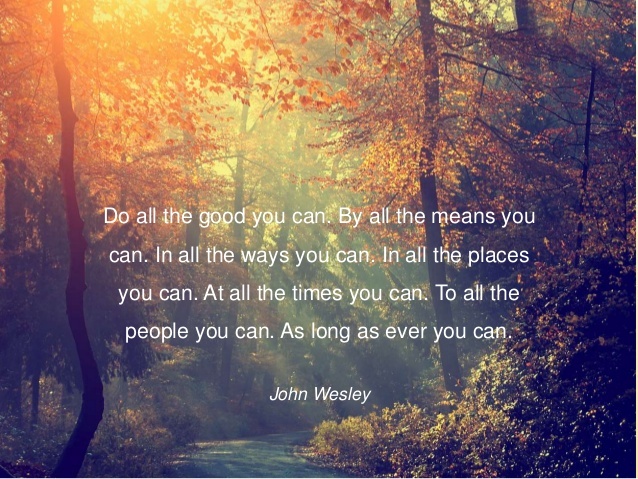 We strive to serve those in need through a mosaic of opportunities in order to be Christ’s body for the world. For the first time in a long time we have paid our Apportionments in full to benefit the greater church, and the world. Some of that money goes to pay for clergy healthcare, some of it goes to domestic and international benevolences funds, and a number of other places. Moreover, we are able to provide a tremendous amount of financial resources to SACRA (Staunton-Augusta Church Relief Association) who then distribute the money to acute needs in the local community. We give from our blessings to bless others. Whether it’s the people in the pews next to us who gather for worship, the preschoolers who gather to be nurtured and educated, or the countless people in the local and global community who need our help. We give out of generosity, because so much has been given to us. However I don’t want to make it sound as if giving is the easiest thing in the world, because it does require sacrifice. Living a spiritual life of generosity requires a change of heart, a conversion. It might happen in a moment, or throughout a lifetime of faith, but when the transformation occurs, we become people of generosity. We all have blessings to offer. Some of us have been blessed by God with incredibly lucrative careers and vocations, God has clothed us with more splendor than Solomon and all his temples, and we can give back to God through our financial giving. Some of us have been blessed by God with powerful relationship skills, God has given us personalities that bring out the best in others, and we can give back to God through our willingness to serve others. And God has blessed all of us with the gift of time, which is the most precious thing we can ever offer to the church and others. Are we grateful for what God has done for us through this place? Do we appreciate all the blessings we have receiving throughout our lives? Do we want to bless others as we have been blessed? We give because we have a common yearning for God’s kingdom to reign on earth, and when we give we join a new communion with the people of God. We give because it is the way by which we live out our love toward the church and our brothers and sisters in faith. We give because God first gave to us. The receiving line following worship is vastly underrated. A lot of people make their way out of the sanctuary as quickly as possible, whereas others will wait in line just to ask that one question that popped up during the service. It never ceases to amaze me that some of the most profoundly theological and spiritual moments that take place at St. John’s happen in that line after worship on Sunday mornings. 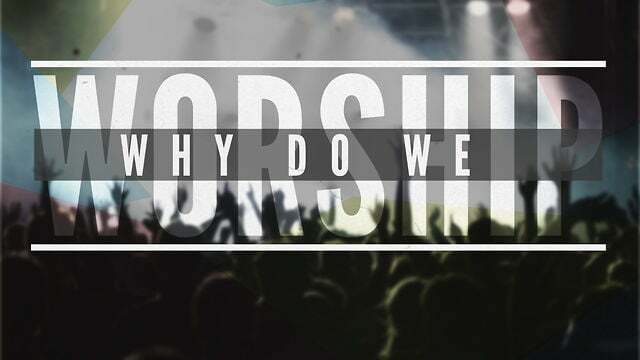 This month’s sermon series “Why We Do What We Do” has its roots in those conversations. Week after week I will hear some of you wonder about the purpose of an acolyte carrying in the flame for worship, or you ask about the value and importance of having a time for offering and collection, or you question why we talk so much about bible study, or you remark about how difficult it is to pray. Over the last two thousand years, disciples of Jesus Christ have been gathering on a regular basis to praise God. From the crowded upper rooms of the first century, to the ornate and opulent cathedrals of Europe, to the modern gymnasiums and living rooms filled with folding chairs, getting together is what we do as Christians. I would now like to ask each of you to pull out your bulletin. You will notice that our worship is divided into four parts every week: Gathering – Proclaiming – Responding – and Sending Forth. These four parts have connections with the ancient worship practices of the Israelites, but it can be specifically drawn to the story of the two disciples on the road to Emmaus. Jesus gathers the two men on the road, later he proclaims the scriptures and interprets them, then they respond by having a meal of bread and wine, and after the disciples eyes are opened to Jesus’ presence they are sent to proclaim what they had seen and heard to the disciples. These four parts have their beginnings in scripture, and we relive them each and every week. When does worship begin? Some would claim that it starts whenever someone stands behind the lectern and starts to speak, but worship actually begins long before the moment we are all sitting in the sanctuary. God is actively involved in gathering us together from the moment we walk out our front door, to the thoughts we have while driving, to the quick and joyful conversations in the parking lot, to the greeting in the narthex and the ushers handing out the bulletins. All of these moments are part of God gathering us, and they all have an effect on the way we worship. Once we arrive and are present in the sanctuary, God continues to gather us together in our announcements about upcoming activities in the church. It is a time of relating to one another and sharing opportunities about how we can grow in love of God and neighbor. Immediately following the announcements, we have what might be the most important piece of the gathering: preparing our hearts and minds for worship. Rick will play on the organ for a brief period that we use to help center ourselves for the practice of worship. Worship is practice. We do it over and over to strengthen our spirits for the work of ministry in the world. Then the choir will rise to sing a call to worship, in effect calling us to worship the living God. We have a responsive reading as we center ourselves on the theme for the day, and we start singing our first hymn. Picking hymns is easily one of my favorite parts of being a pastor. Spending time every week deep in the hymnal humming tunes and praying about which songs best fit with what we will do. And as we sing that first hymn, the acolyte and I will walk into the sanctuary signifying how the light of Christ is here with us in worship, how the light guides us and gathers us together. By the time I actually make it to the pulpit, God is still gathering us together as we humbly bow and begin to pray as a community. The prayers we offer are a sign of our respect for the people in the pews next to us, as well as a commitment to the world around us. Finally, we gather our gifts of tithes and offerings to present to God (but we will talk more about why we give next week). After the disciples and Jesus were gathered on the road, after Jesus listened to them ramble on about the things they had seen and heard in Jerusalem, he proclaims the stories of scripture and reinterprets them through his gracious work. But notice, they still do not know who they are talking and walking with on the way. I will be the first to admit that God’s holy scriptures can be confusing. There’s nothing like a seemingly random assortment of names through a genealogical proclamation that can leave us scratching out heads. But the more we read, the more we interpret how God is still speaking to us through the scriptures, the more it begins to start fitting together. The second part of our worship is dedicated to proclamation, speaking words about God’s Word. We do this every week by reading from the bible, singing a hymn, and then listening to a sermon. The scriptures are picked according to a list called the Revised Common Lectionary, which compiles a great assortment of readings through a three-year cycle that goes through most of the bible. However, occasionally the scriptures are picked to fit a specific theme (like us using Luke 24.13-35 to talk about worship during this sermon series). We boldly proclaim the words of scripture and pray that somehow or another God can speak through a preacher to interpret these words for our lives today. The middle hymn of worship is usually picked in reference to the specific text and our connection with it. Today we will sing “Open My Eyes, That I May See” because Jesus’ opened the eyes of the two disciples on the road to Emmaus through the breaking of bread and the sharing of the cup, but we also call on God to open our eyes to how the text continues to speak into our lives right now. The sermon is a little bit harder to explain, because every preacher (and therefore every sermon) is different. Some can be funny and light-hearted; others are specifically focused on the Good News, whereas others can be more convicting about how we are living as disciples. The point of preaching is to challenge us to make God’s Word incarnate by the way we live our lives; which is precisely why preaching can be so hard to hear, and so hard to do. A one sentence sermon: Whenever we gather in this place to do what we do, we join those first disciples and our eyes are opened to Jesus in our midst. Amen. Jesus made it look like he was going to keep walking, but the disciples invited him to stay with them. While they sat at the table together, he took the bread and the cup, gave thanks to God, and gave it to them. Only then did they realize who had been with them the whole time. It was only in responding to the words they heard on the road, in the bread and wine on the table, that Christ became real for them. The third part of our worship is focused on responding to the proclaimed Word of God. On most Sundays we do this by reaffirming our faith using the Apostles’ Creed, we make a public confession of who we are and what we believe. Other weeks we do something unique and special like last week when we broke off into pairs and prayed for each other. But the best and most faithful response to God’s Word happens when we gather at the table like those two disciples did with Jesus. Breaking down the multiple elements of responding with Communion demands its own sermon series, but suffice it to say that this holy meal is what being a Christian is all about. We are invited by God no matter who we are and what we’ve done, we confess how we have fallen short of God’s expectations and are forgiven, we share signs of God’s love and peace, and then we feast. That same hour they got up and returned to Jerusalem; and they found the eleven and their companions gathered together. They were saying, “The Lord has risen indeed, and he has appeared to Simon!” Then they told what had happened on the road, and how he had been made known to them in the breaking of the bread. I’ve always wondered what it must have felt like to be one of those disciples discovering the truth about their encounter from the road. But then I remember that I have had similar experiences: when I see someone come up in line to receive communion with a brilliant smile on their face, I realize that I am catching a glimpse of Jesus. When I witness one of our preschoolers reach out in concern toward one of their classmates, I realize that I am catching a glimpse of Jesus. When I see you greeting one another in love before, during and after worship, I realize that I am catching glimpses of Jesus. After their incredible and momentous discovery, the disciples ran back to Jerusalem to share all they seen and heard. When we are confronted by God’s incredible power and glory, the only thing we can do is share what it felt like with others in our lives. The final part of our worship is all about being sent forth into the world. While the notes of the final hymns are still resonating deep in our souls, as we continue to contemplate all we have seen and heard in this place, God sends us out into the world to share what we have experienced. I stand before the congregation and offer a benediction of blessing to go with us as we leave, and then the acolyte carries the light of Christ before us, encouraging us to take Christ’s light out into the world. Lastly, the choir sends us off with one final song, blessing us to be a blessing to others.